SANTA FE, Texas -- A Texas sheriff says two officers engaged the gunman in a deadly high school rampage within four minutes Friday, saving lives. The shooting left 10 dead and 13 more wounded at Santa Fe High School. Police identified 17-year-old student Dimitrios Pagourtzis as the gunman. He is being held on capital murder charges. Speaking at a press conference Monday, Galveston County Sheriff Henry Trochesset called the shooting "a tragedy in this community that touches home more than you'd imagine." He called the officers who responded to the shooting "heroes," including school resource officer John Barnes, who was shot and wounded. He said Barnes and a second officer engaged the gunman within about four minutes. The second officer continued to engage the suspect until backup arrived, "which saved so many lives," Trochesset said. He said the two officers were in the hallway and the shooter was in the classroom. "They contained him in that one area, isolated to them, engaging with them, so he did no more damage to other classes," he said. More than 200 officers from a variety of agencies would eventually respond to the school, he said, thanking them and also hailing them as heroes. Barnes is still in intensive care and has undergone multiple surgeries, officials said. School officials said they had received an outpouring of support from the community. Teacher and support staff were to return on Wednesday, May 23, and students were to return to class on Tuesday, May 29, district officials said. Mental health support was to be provided throughout the district, along with a toll-free crisis hotline. 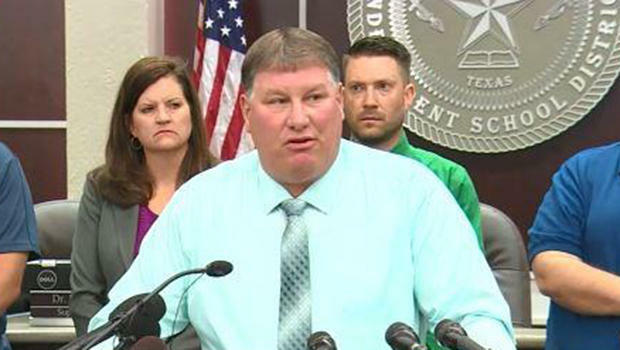 Reese Tisdale, a police detective and the son of victim Cynthia Tisdale, said in a statement read by a spokeswoman that his mother worked as a substitute teacher "for the love of teaching and helping others." He said his family lives 10 minutes from the school, where his daughter also attends, and he immediately responded to help. "I knew two female teachers had been killed along with the students...not long after I determined that one of the teachers was probably my mother," the statement said. Trochesset, the sheriff, said his granddaughter was inside the school, three doors down from the gunman. She was able to escape, but he said her best friend is among the dead. "Anybody wants to hear their heart stop and see how long they can not breathe? Wait till that phone call comes in, until you know they're safe," he said. He said he was "troubled" by the amount of time it took for families to be informed whether their loved ones were among the deceased, but said the delay was because no one could enter the school to identify the victims until it was determined to be safe. The suspected shooter remains under suicide watch, he said.